It's important to take good care of our skin. 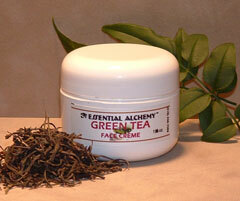 Using all natural products helps to keep your skin healthy. This crème is excellent for all skin types. The antioxidant properties of green tea and vitamin E, as well as, the restorative properties of carrot seed, neroli, and melissa hydrosols, seabuckthorn and black currant oils, and neroli, frankincense, and myrrh make this creme just what your skin needs to help you look younger and fresher. Give the tender skin around your eyes just what they need. Cucumber, cornflower & orchid extracts with avocado butter, evening primrose, kukui nut, coconut, & vitamin e oils all aid in softening fine lines, relieving puffiness and dark circles. It is lightly scented with violet leaf absolute, cypress, & Roman chamomile essential oils. 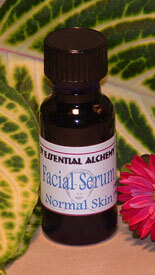 Using nourishing oils to restore balance & solve skin issues can be helpful regardless of skin type or problem. These blends can be used by professionals for facial massage or at home. They are particularly helpful & healing applied lightly before bed.